Ballout Gang is an American Hip Hop group from Washington, D.C., formed in 2015. The group is composed of three members, known by their stage names Hugo Brick, Mike Miez and Bam Bam. 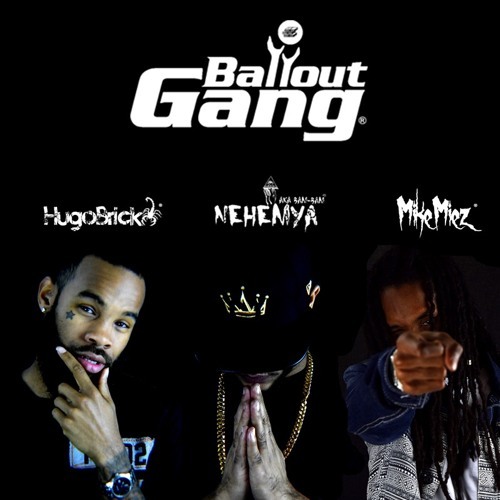 Ballout Gang released their mixtape “Ballout Gang: Season I”, in 2016, which caught the attention from Hip Hop Blogs like TubeGutter.com, NoStiches.com, and RapBoost.com. Ballout Gang is releasing their debut single “Party Pack”, which will be available everywhere. Two videos are currently in the making for that single as well as “Kim K” from the mixtape. The artist plan to release another mixtape later this year, which will include a single featuring Dj Khaled. As an independent Hip Hop group Ballout Gang has received much recognition within their community and social media, and plan to continue to expand as a brand. The group’s new mixtape will have exclusive production, which Underground Mixtape Reviewer Topaz Yates emphasized, saying that the content would be undeniable. Yates is one of the many accredited supporters of this project that will continue to gain publicity as the single is released.